If the degree of every vertex of a connected graph is even, then the graph has a circuit that contains all of edges, namely an Eulerian circuit. If the length of a shortest subcycle of an Eulerian circuit of a given graph is the largest, then the length is called the Eulerian recurrent length of the graph. For an odd integer n greater than or equal to 3, e(n) denotes the Eulerian recurrent length of \(K_n\), the complete graph with n vertices. 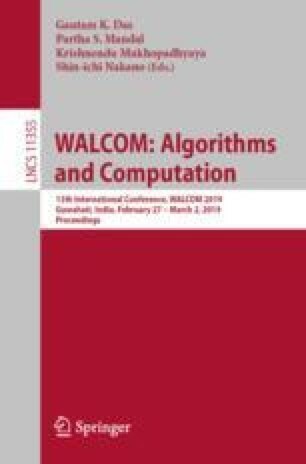 Values e(n) for all odd integers n with \(3\leqq n\leqq 13\) have been found by verification experiments using computers. If n is 7, 9, 11, or 13, then \(e(n) = n - 3\) holds, for example. On the other hand, it has been shown that \(n - 4\leqq e(n)\leqq n - 2\) holds for any odd integer n greater than or equal to 15 in previous researches. In this paper, it is proved that \(e(n)\leqq n - 3\) holds for every odd integer n greater than or equal to 15. In the core part of the proof of the main theorem, an IP (integer programming) solver is used as the amount of computation is too large to be solved by hand. This work was supported by JSPS KAKENHI Grant Number 15K00018.